Bonjour lecteurs! 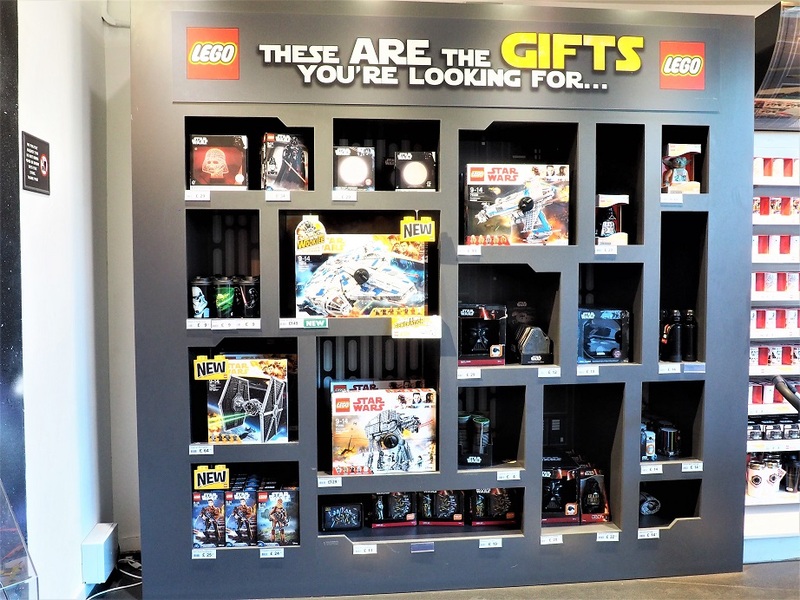 If like Baba your children are fans of Lego movies, you probably visited Legoland Windsor®. 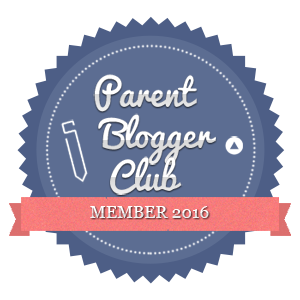 When Kiddylicious invited us to go there, we were over the moon! Le paradis for Baba! You might have already seen it on Instagram and my other platforms. Le Frenchie bébé absolutely loves this children’s brand that ticks so many boxes: it’s healthy and nutritious with not too much sugar. He is a true fan of the cheesy straws. So when we received a pack of goodies to enjoy while on a ride, it was time to have fun! 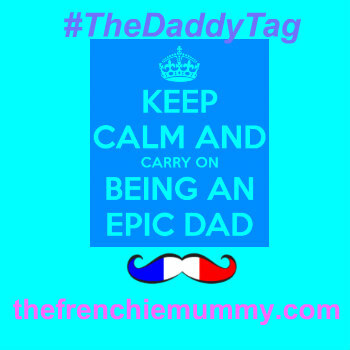 I booked a room at the Great Fosters Hotel in Surrey and we were off for a cool break en famille! 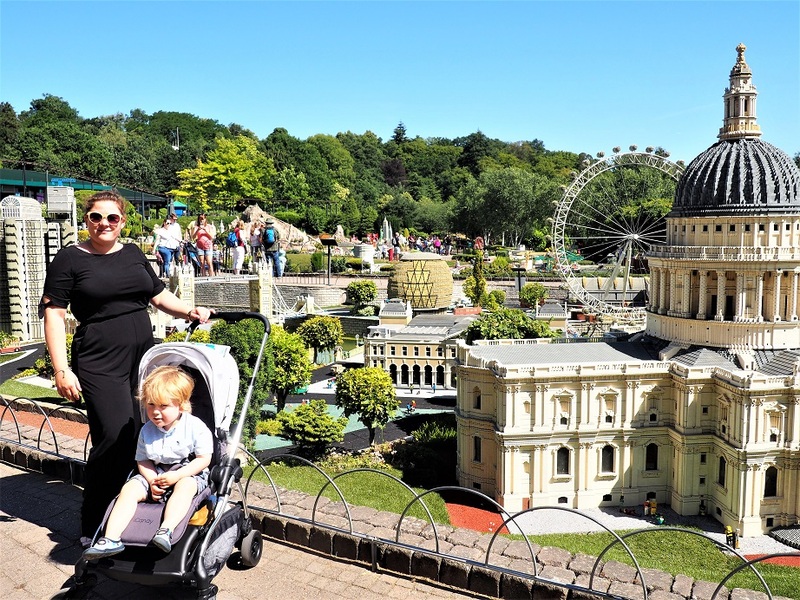 We had a Fabulous Family Day Out at Legoland Windsor®! 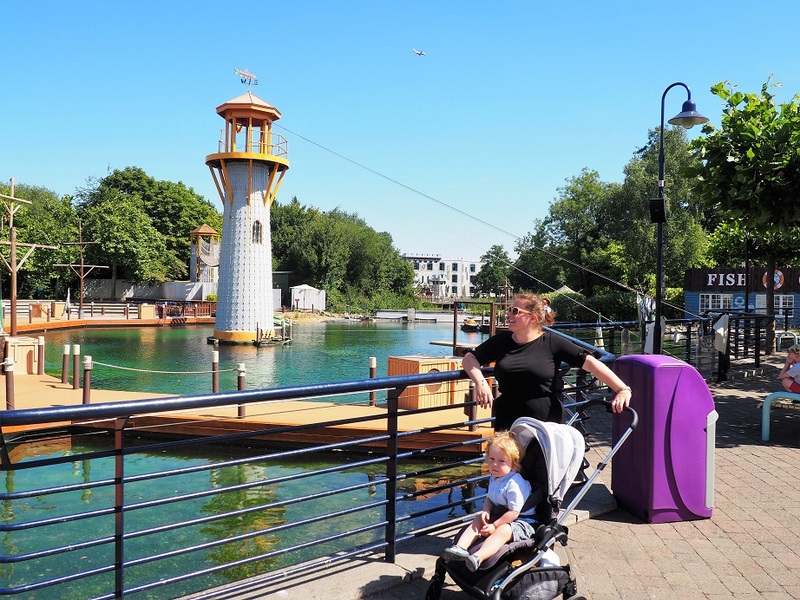 What a fab weather to check Legoland Windsor®! 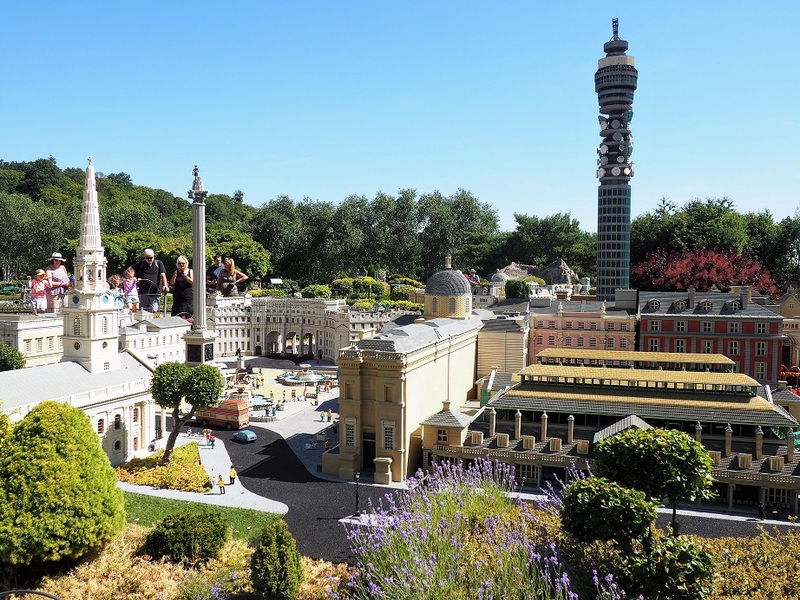 As you may already know, Legoland Windsor® is a theme park and resort in Windsor in Berkshire. Themed around Lego (who does not like this!? I remember my brother playing with his for hours!). I had never been before our visit with Baba and I was quite surprise by its size. With over 55 attractions for all ages, the place is really big. First impressions were good: the park is clean and all the staff is quite eager to help. We arrived at around 10 am so that it would not be too busy but there was already a little crowd out there! Wow! We headed off straight away to Adventure Land for a little trip on the submarine. Baba has a top with some on it after all! Are we at the port? On our way, we stopped by MiniLand because really, it is l’attraction classique to see! Non! We are back in London! Very impressed with the model (Hello Big Ben! We were back in London! ), we then went into Atlantis! Baba was happy to see the fish. The rest of the day was filled in with so much fun! We stopped a fire, went on a balloon and other attractions. But it was so hot! It was time to refresh before lunch! 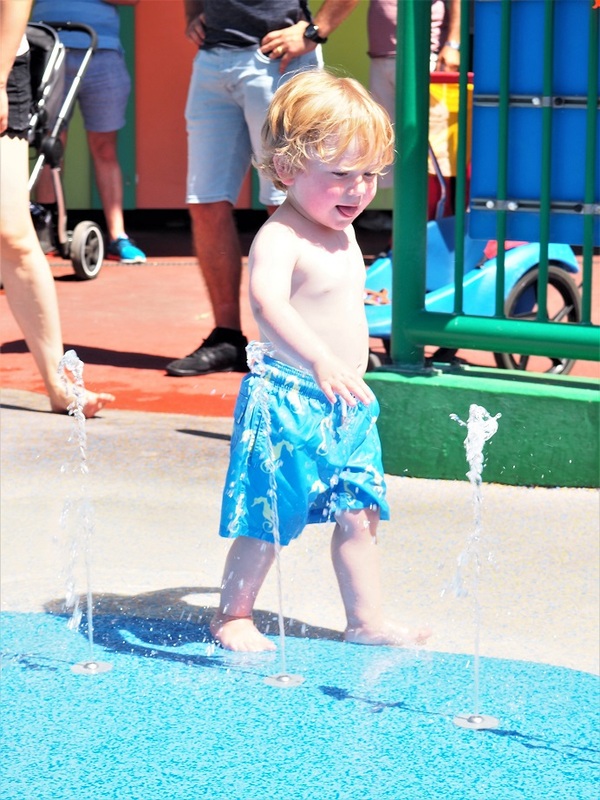 This water play area within the park is a blessing when il fait chaud! Plus your little one can safely splash around amongst a menagerie of DUPLO themed animal friends – from lions and giraffes to zebras and elephants – and a range of interactive water features! That is so sweet and Baba had a blast! It is so cool to have something like that and it is all well organisé: lockers and changing rooms à volonté! You are in to have so much fun! Time for le déjeuner! I have read before people saying that there were not enough spaces to sit down and refill with some food but quite frankly we found some spot under a tent easily! If you fancy a picnic style, then there are also a good number of spots in the shades for you to have a break! Look at his face when I said it was lunchtime! Time to open our magic Kiddilicious snacks! Baba enjoyed some cheesy straws as well as some new products. If your little has a sweet tooth, they will enjoy for sure the Soft Biscotti. Le préféré de Baba? The Coconut Rolls with some cool flavours: banana and strawberry! After lunch, the rest of the afternoon was full of adventures. We enjoyed a bit of shopping. If you love Starwars, you are in for a treat at the top of the park! Baba enjoyed himself in the Castaway Camp before going on the balloons! What a day! We did so much so we were all fatigués but Baba had a blast for sure! Trop fatigué by so much fun! 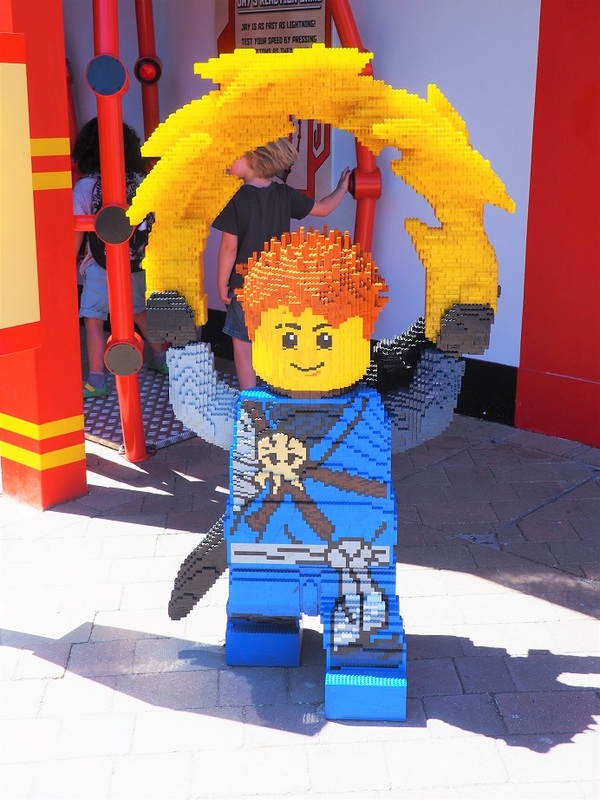 If you have never been Legoland Windsor® and you are in the area, make it happen! We had a very exciting day out with Baba! Even though we could not go on some rides because Baba was too small, we still managed to do a lot all day long. 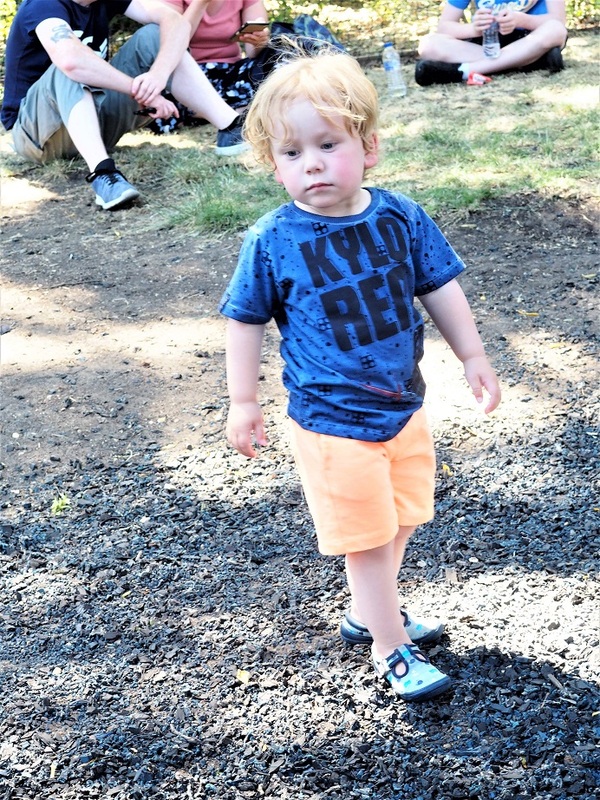 The park is well catered for all ages so that all members of the family can have fun! The resort is very beautiful with many attractions involving water so that you can remain fresh if you go on a hot day. Our fave attraction of the day had to be the water play area but there is something for everyone. We visited on a Monday, but the park was still quite busy! We bought a Q-BOT (it’s a device that reduces your ride wait time. You can make one reservation at a time and it will let you know when it’s your turn to ride!) but we did not make the most of it. If you only have younger children like Baba, it is not a necessity as most of the rides for the tiny feet did not have a very long queue. And I got arrested by the police! And Baba Had more Kiddylicious Food to Enjoy at Home! 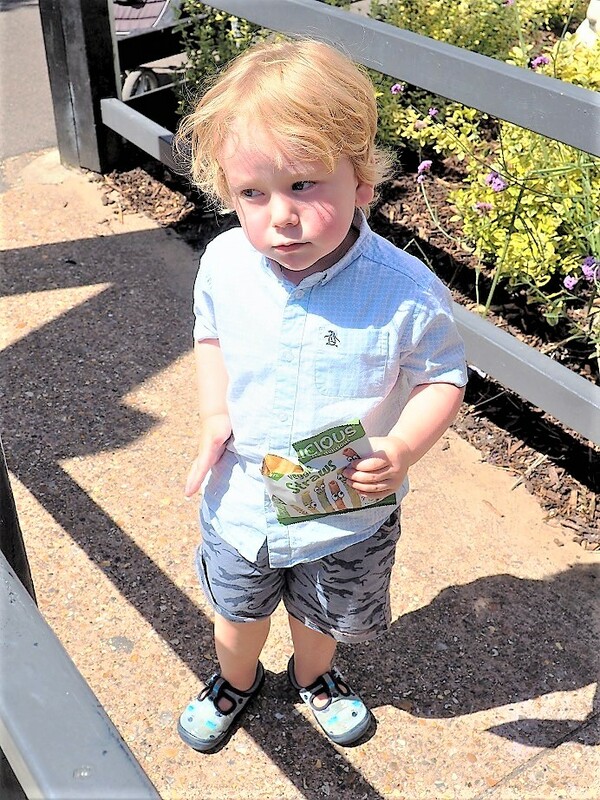 As our Kiddilicious pack was full of healthy snacks and we did not have it all during our Fabulous Family Day Out at Legoland Windsor, he enjoyed some more later on! For breakfast the following morning, Baba tried the brand’s delicious porridge! There is even a dairy-free version! His fave? The Coconut Rolls (Banana Flavour). Those are great for little ones exploring new tastes. Shaped with a hollow centre, they help little hands develop their grip. Made with fresh coconut milk and with a hint of Banana, they have a light and crispy texture that Baba can’t resist! And when we went for a haircut, we made sure to wear our new top with Lego Ninja! 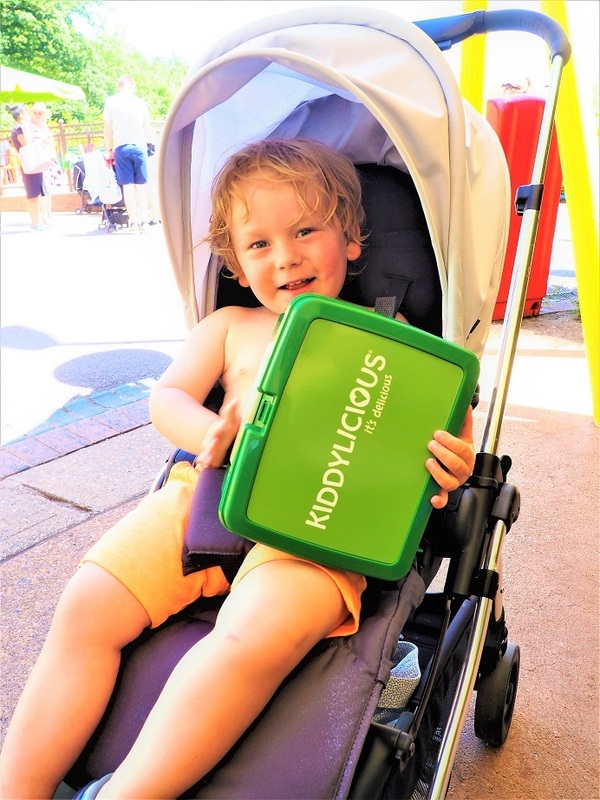 If you are looking for healthy and savoury snacks for your little ones, check out the whole selection of yummy treats Kiddylicious offers! 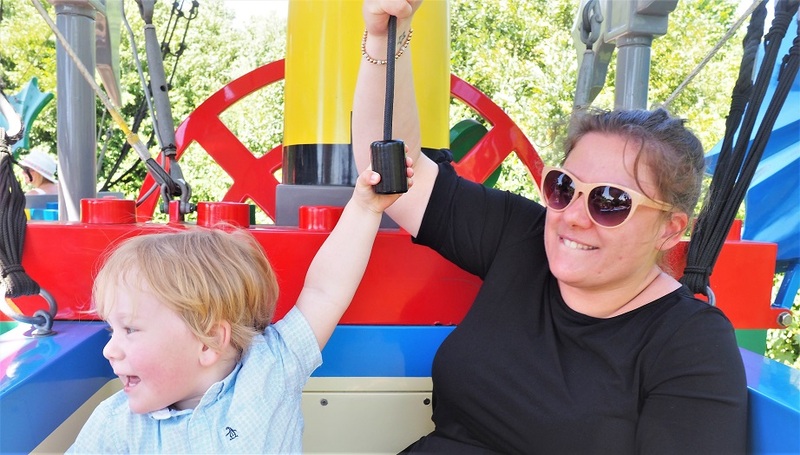 Thanks for reading A Fabulous Family Day Out at Legoland Windsor®with Kiddylicious. I hope this post and all the pictures will make you want to go there. Windsor and its surroundings are such a beautiful part of the UK! 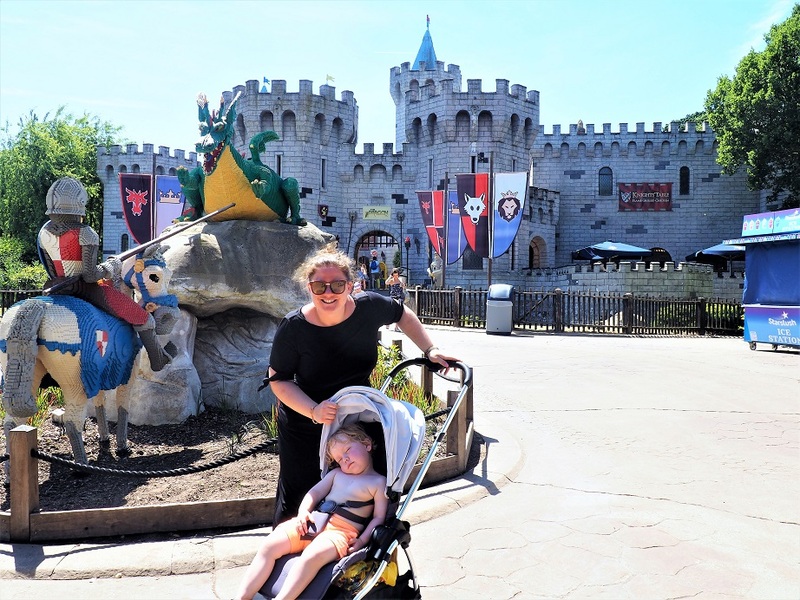 We really enjoyed our mini break there while staying at the Great Fosters and then this great time at Windsor while enjoying some delicious food! And merci to Kiddylicious and Legoland Windsor®Resort for inviting us! 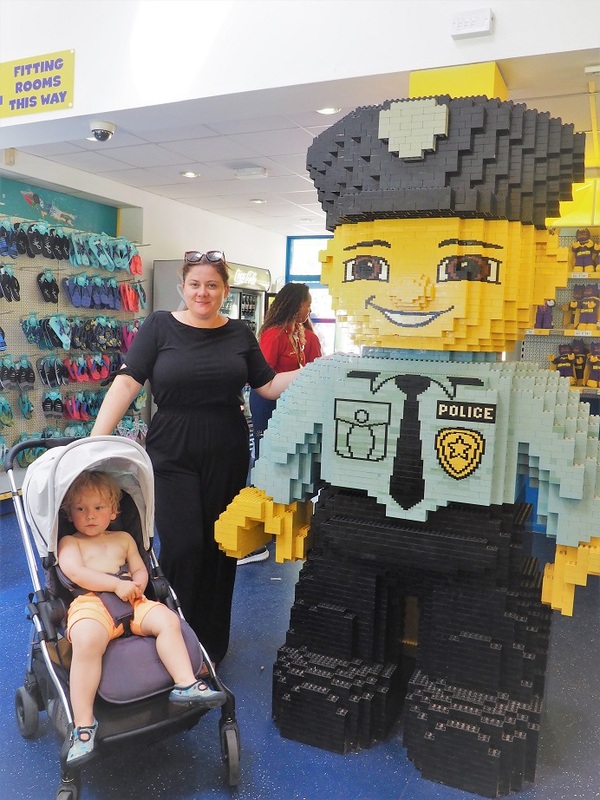 I have always wanted to go to Lego land but have been put off by the cost of four children … perhaps I need to look again, thanks for the great reveiw. 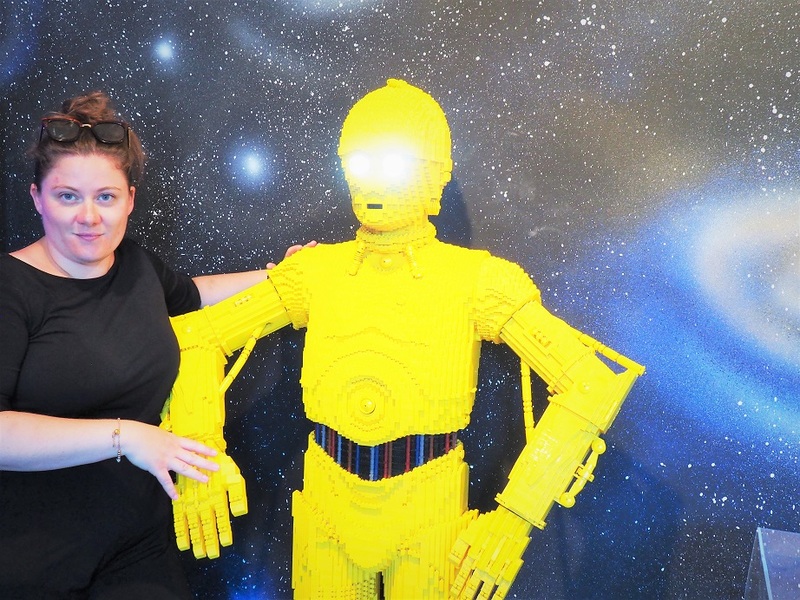 Love LEGOLAND and have been many times with my kids….if you wait for a 2 for 1 offer or use Clubcard points its a bargain ! 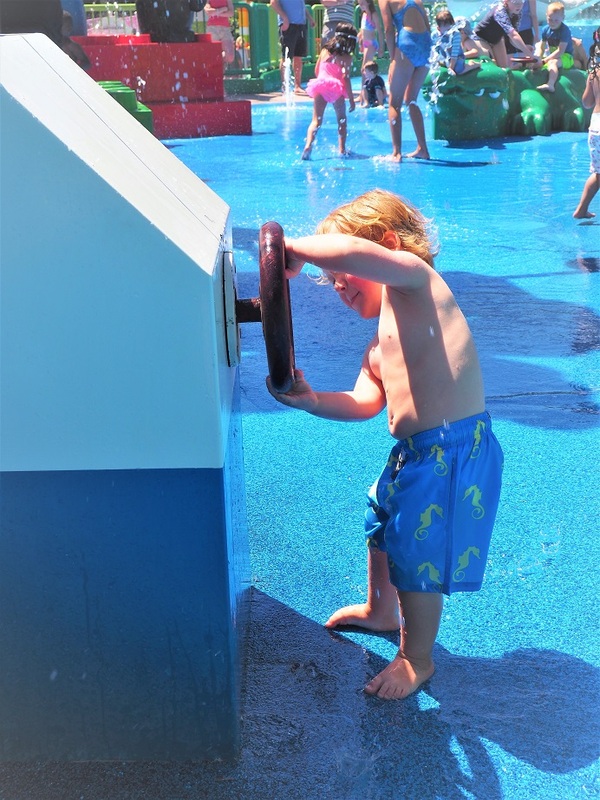 Looks real fun, your son had a ball, especially in the Splash safari! 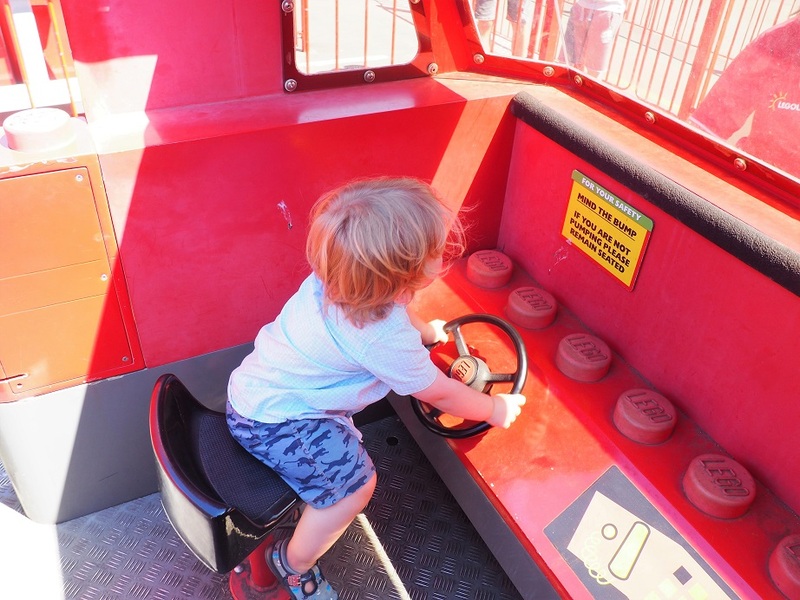 Having children is sometimes the most wonderful excuse to visit and enjoy all these kiddy based attractions yourself! I am local to Windsor, I remember when it was Windsor safari park before legoland! Will take my granddaughter there one day but will find a discount ticket first as it is so expensive. This day was probably one of the most fun days i guess! 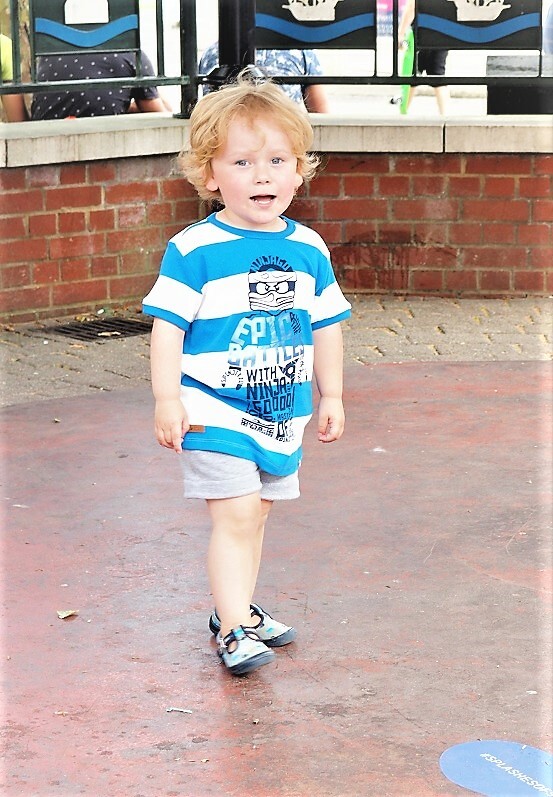 We took our eldest grandson a few years ago. As we are in Cheshire it was too far to do there & back in a day, so we got a good deal with hotel accommodation for little more than entry to the park. I believe hotels local to many attractions get reduced price tickets to give to guests. My daughter said her family really enjoyed it you really need 2 days to get everything in. Seems like your little chap had a great day to. Aww wow, Lovely pics and lots of special memories! 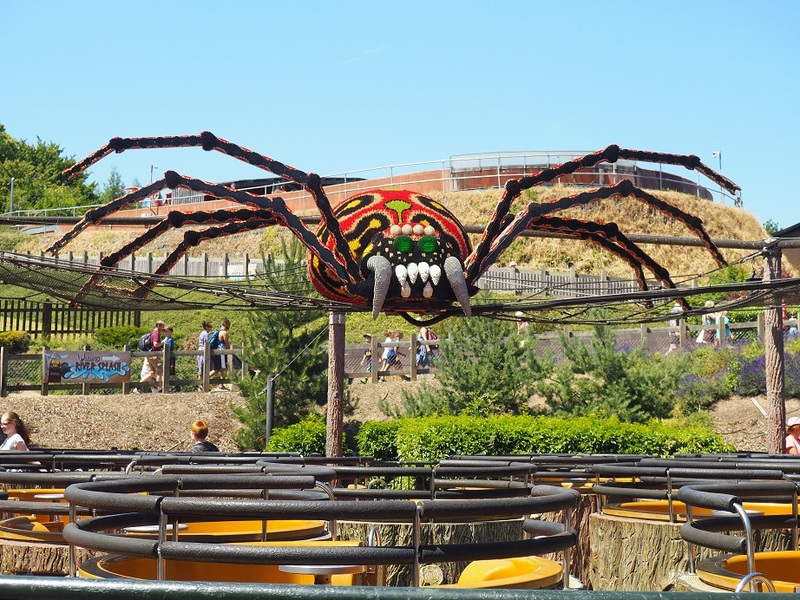 Lego land is definitely on our list of things to do this summer it looks like great fun! This is a great day out for kids and adults! The people who have made the models are so skilled! Would love to stay in the hotel there! Ahh love Legoland! Looks like you had a fab time! What a lovely review and what a lovely place too. You had such fun there. A lovely review and fabulous pics. Thank you. I look forward to taking the children soon. 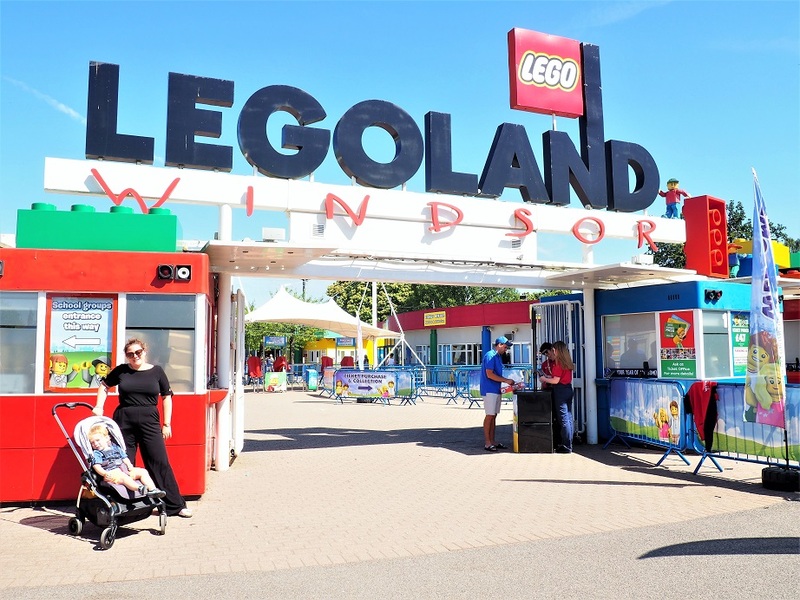 We have booked to go to Legoland windsor in a few weeks, will be my girls fist time and I can’t wait! 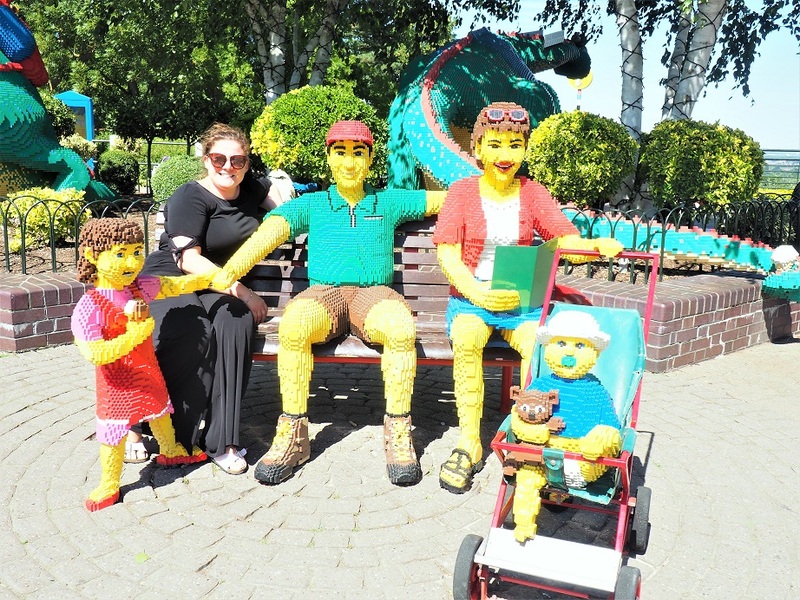 I took my kids to Legoland when they were younger, almost 20 years ago,, and they enjoyed it. The theme park has obviously grown a lot since then. I think I will probably wait to take my granddaughter when she is a little older and able to go on more of the rides. Looks amazing I used to love Lego as a kid in fact still got mine. 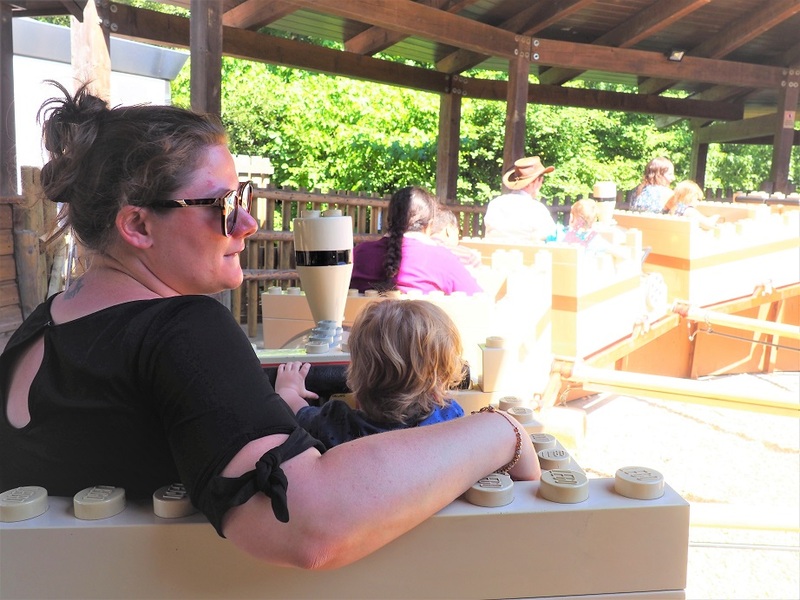 We spend a lot of time at disney, but we have never ventured to lego land. It looks like it would make a great trip.